Globe Maxsurf is another internet browsing promo from Globe Telecom that offers volume based, you can enjoy browsing without worrying how many minutes/ hours it takes reading a webpage. Maxsurf promo only uses per KB and MB based browsing where bandwidth of loaded web pages and downloaded files is summed up to reach your allocated volume. 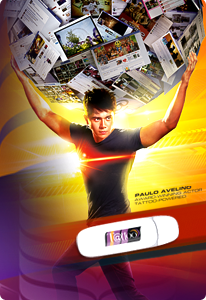 Globe Tattoo Maxsurf offers 3, 5 and 15 days internet browsing with corresponding bandwidth limit in each Maxsurf promo offers. Continue reading below on how to register Globe Prepaid Maxsurf promo. In case Globe Tattoo Maxsurf browsing promo cannot cater your browsing needs, you can go for unlimited internet browsing using your mobile phone or USB broadband modem. Want to try Globe SUPERSURF promo? See: Globe Unlisurf or SUPERSURF promo. For more details about Maxsurf Promo just text MAXSURF INFO to 8888 or you can visit here.